The First State Bank of Campbell Hill was chartered in December 1921. 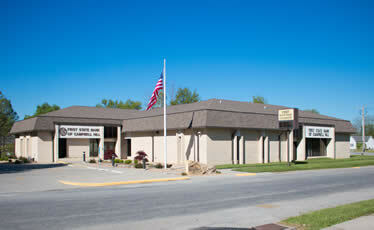 In 1971, the bank relocated to a new facility where we currently reside. Over the years, the bank has continued to grow and now has assets totaling approximately 105 million dollars. Part of this growth was due to the acquisition of the Coulterville Banking Center in October 2003, and our acquisition of the Steeleville Banking Center in June 2006. As technology continues to push forward, the First State Bank will continue to strive to meet the demands of our customers. Thank you for viewing our Web Site, we look forward to seeing you in one of our locations soon.